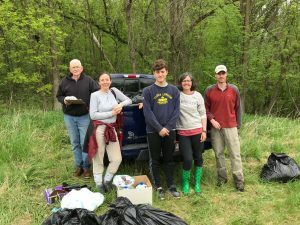 On Saturday, May 19, CLCF participated in a Garlic Mustard Pull-A-Thon in the Fox Hill Nature Preserve woods east of Highway NN. 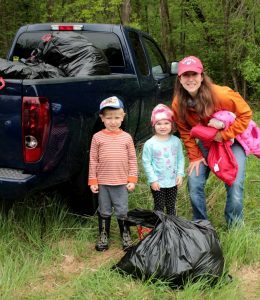 Despite the damp conditions that morning, 14 helpers came out to pull and filled 26 bags with the invasive plants. 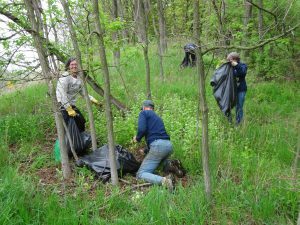 Thank you so much for supporting efforts to keep our local natural areas healthy! Garlic Mustard crowds out our beautiful native wildflowers – like Jack-in-the-Pulpit, Violet and Trillium – and endangers forests by preventing tree seedlings from growing. To make matters worse, none of our native insects or wildlife eat it! 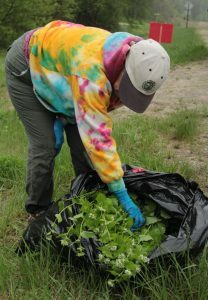 The Garlic Mustard Pull-A-Thon is a regional competition to raise funds for ongoing control, education and outreach and is organized by the Southeastern Wisconsin Invasive Species Consortium (SEWISC).